GREEN – A viable full stack in cash games and GPPs. YELLOW – A viable mini-stack in cash games and full stack in GPPs. ORANGE – A viable stack in large field GPPs. RED – Not a recommended stack for cash games or GPPs. Per usual Friday tradition, we have a massive slate on tap tonight. We start with the Red Sox and Orioles, two teams that are clearly heading in different directions. Eovaldi has been terrific in his first two starts with the Red Sox, pitching 15 scoreless innings while racking up nine strikeouts. The most impressive part is that he faced the Twins and Yankees. Tonight he draws a much better matchup, as he squares off against the Orioles, who are one of the best teams to target pitchers against. Their projected lineup has seven righties and as a whole, an xwOBA of only .312 with a strikeout rate of 26% against right-handed pitching this season. Quick Breakdown: It feels like a lot to pay for Eovaldi, but the form is there and it’s hard to argue with his matchup. He’s viable in all formats. Bundy has been up and down all season, but overall, he owns a 3.83 SIERA with a strikeout rate of 25% and a walk rate of 7%. These are respectable numbers, especially for a starter that pitches in the American League East. 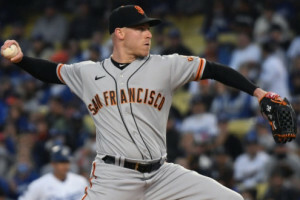 The issue tonight is his matchup against the Red Sox, whose projected lineup has a .385 xwOBA with a .217 ISO against right-handed pitching. Bundy’s biggest weakness this season has been his 35% hard contact rate, which could be troublesome in a matchup against Boston. Quick Breakdown: The risk outweighs the upside here. Avoid Bundy in all formats. The Red Sox are an offense that can overcome a difficult matchup, but it’s worth pointing out that Dylan Bundy has held right-handed hitters to a .291 xwOBA with a 31% strikeout rate. This hurts the appeal of Mookie Betts, J.D. Martinez, and Xander Bogaerts, although a case can still be made for them in tournaments. The top targets here are those that can bat from the left side. Bundy has allowed a .402 xwOBA and a 36% hard contact rate to lefties, which brings Andrew Benintendi, Mitch Moreland, and Rafael Devers into play. The Orioles have one of the least talented offenses in baseball and one of the least appealing matchups of the slate. On the season, Nathan Eovaldi has held right-handed hitters to a .270 xwOBA with a 25% strikeout rate. This basically takes most of the Orioles’ hitters out of consideration. The only lefties that could possibly crack the lineup are Jonathan Villar, Chris Davis, and Jace Peterson. Villar does bring stolen base upside to the table at a cheap price point, but the rest of this offense can be avoided in all formats. 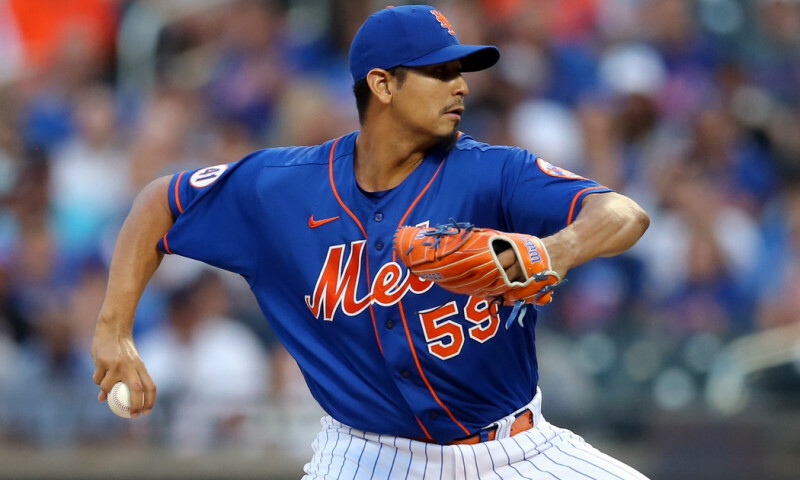 Minor has been serviceable for the Rangers this season, but that’s not exactly the adjective that we are looking for to describe a pitching target in DFS. In 21 starts, Minor has a 4.19 SIERA with a strikeout rate of 20%. He needs a good matchup to deserve consideration and he doesn’t draw one tonight. Not only is he pitching on the road, but he’s facing the team that leads the majors in home runs this season. The Yankees’ projected lineup has a .344 xwOBA with a .206 ISO against southpaws. Quick Breakdown: Avoid Minor in all formats. Tanaka has really pitched well this season, posting a 3.44 SIERA with a strikeout rate of 26% and a ground ball rate of 47%. 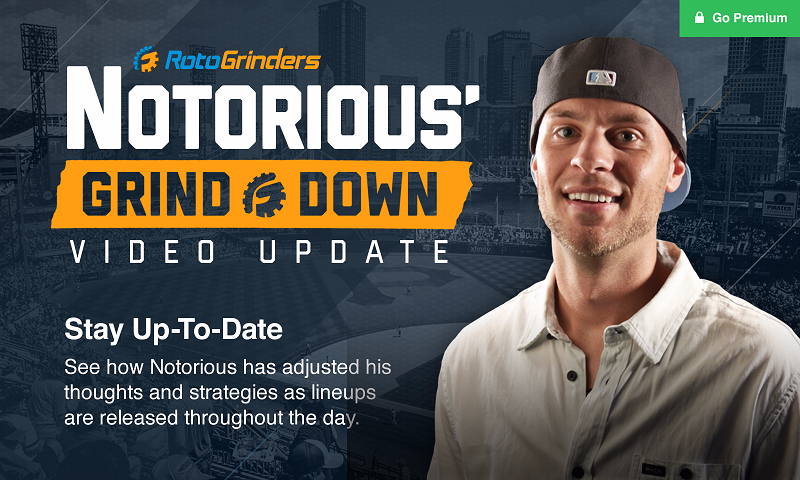 He still gives up more home runs than your average pitcher, but that shouldn’t stop us from targeting him in DFS. He has as much upside as any pitcher in the slate outside of Gerrit Cole (who has the tougher matchup of the two). While the Rangers do have some firepower in their lineup, they also have a 25% k-rate against right-handed pitching this season. Quick Breakdown: Given the discount off of Cole, Tanaka is my favorite pitcher to pay up for tonight. 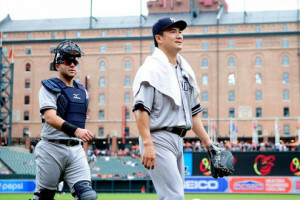 The Rangers draw a boom or bust matchup against Masahiro Tanaka. He has been in great form recently and he has an above-average strikeout rate, but has historically struggled to keep the ball in the park. I plan to have more exposure to Tanaka than to any of the Rangers’ hitters, but I don’t mind a few one-off plays for tournaments. 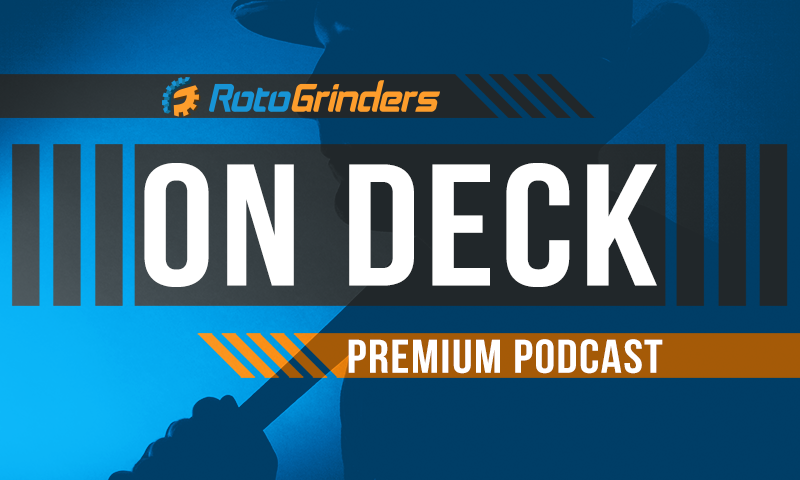 Shin-Soo Choo, Joey Gallo, and Robinson Chirinos all have home run upside in this matchup and should carry low ownership in tonight’s 14-game slate. The Yankees hit a bunch of home runs last night and will look to keep it rolling tonight against Mike Minor. Even without Aaron Judge in the lineup, they still have one of the most talented offenses in baseball. On the season, Minor has allowed a .371 xwOBA and a 40% hard contact rate to right-handed hitters. Aaron Hicks, Giancarlo Stanton, Gleyber Torres, Miguel Andujar, and Luke Voit all bat from the right side and all have an ISO of at least .230 against left-handed pitching this season. A full stack is firmly in play and you can target all of these righties as elite plays individually. Snell made a trip to the DL with a shoulder injury. 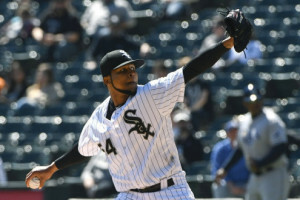 He’s made one start since coming back, but he only pitched four innings against the White Sox (59 pitches) and struck out three batters. We know the young southpaw is incredibly talented, but the Rays have no reason to push him the rest of the season. They are well out of playoff contention, so it wouldn’t surprise me if they monitored his innings the rest of the way. 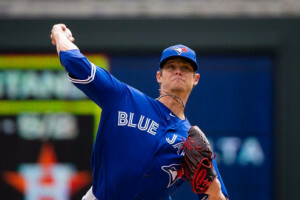 Given the unknowns and his matchup against the right-handed heavy Blue Jays, I will be looking elsewhere at pitcher. Quick Breakdown: Avoid Snell in all formats. Estrada has struggled all season. In 19 starts, he owns a 5.13 SIERA with a strikeout rate of 18% and an extremely high fly-ball rate. These numbers are going to lead to trouble, especially in this hitter-friendly ballpark. We have an interesting decision to make tonight, as we have a bad pitcher (Estrada) facing off against a bad offense. The projected lineup for the Rays has an average xwOBA of .296 with a .120 ISO and a strikeout rate of 21% against right-handed pitching. I would have some interest in Estrada in tournaments if the sites didn’t price him up for this matchup. 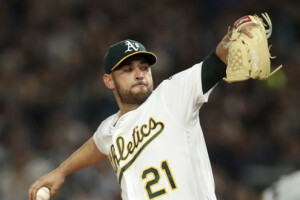 Quick Breakdown: I need to see better form from Estrada before using him in a 14-game slate. The Rays see a favorable ballpark shift playing in Toronto and they draw one of the best matchups of the slate. The issue (once again) is that they are priced up across the industry. When I am targeting a bad offense, I want to get a discounted price point. We haven’t really seen that with the Rays over the last week. Rather than a full stack, I will chase the home run upside with the bats of Jake Bauers and C.J. Cron, who both boast a .230+ ISO against right-handed pitching this season. The Blue Jays don’t have a great matchup on paper, but we haven’t seen much from Blake Snell over the last month of play. We know that he’s better at home than he is on the road and when you couple that with potential rust, Toronto could be a sneaky offense to target in tournaments. On the season, Snell has allowed a .307 xwOBA and a 34% hard contact rate to right-handed hitters. Randal Grichuk, Devon Travis, Teoscar Hernandez, and Kendrys Morales all bat from the right side and all boast a .340+ xwOBA against southpaws this season. Buchholz has quietly pitched well this season, posting a 3.99 SIERA with a strikeout rate of 22%. He’s looked good since coming back from injury, but finds himself in a difficult spot tonight. The Reds’ offense has been reeling of late, but Buchholz has to pitch in one of the most home run-friendly ballparks in all of baseball. The larger the slate, the less likely I am to take pitchers that have more downside than upside. That’s what I see with Buchholz here, even though I’ve been impressed by his play this season. Quick Breakdown: Avoid Buchholz in all formats. DeSclafani hasn’t been on my radar often this season. His struggles against left-handed hitters make him viable only when he’s facing a right-handed heavy offense. He doesn’t get that tonight against the Diamondbacks, who are projected to have six lefties in their lineup. On the season, DeSclafani has allowed a .403 xwOBA and a 44% hard contact rate to batters from the left side of the plate, which will be troublesome in this ballpark. Quick Breakdown: Avoid DeSclafani in all formats. The Diamondbacks see a ballpark boost playing in Cincinnati and draw an exploitable matchup against Anthony DeSclafani. As noted above, he has allowed a .403 xwOBA, a 3.41 HR/9, and a 43% hard contact rate to batters from the left side of the plate. David Peralta is one of the top hitters of the slate, regardless of price. Jon Jay, Eduardo Escobar, Daniel Descalso, and Alex Avila are also viable at their respective positions. Paul Goldschmidt is intriguing as a part of a full stack, as the Diamondbacks might be able to knock DeSclafani around early and then get into the hittable Reds’ bullpen. The Reds have the tougher matchup of the two teams. Throughout his career, Clay Buchholz has allowed a higher wOBA to lefties, but that hasn’t been the case this season. In fact, in 2018, he has had some serious reverse-splits, allowing a .378 xwOBA and a 44% hard contact rate to right-handed hitters. I’m not buying a ton of stock in the Reds’ offense right now, but Eugenio Suarez stands out as an excellent one-off target. He owns a .376 xwOBA and a .352 ISO against right-handed pitching this season. 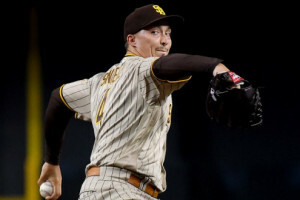 Santana has not been sharp in his first three starts of the season, posting a 5.88 SIERA with a strikeout rate of 13%. He hasn’t been able to induce any ground balls and when you add a 36% hard contact rate on top of it, that’s going to cause problems. Even though a matchup against the Tigers is tempting, we need Santana to flash some form before considering him in a 14-game slate. 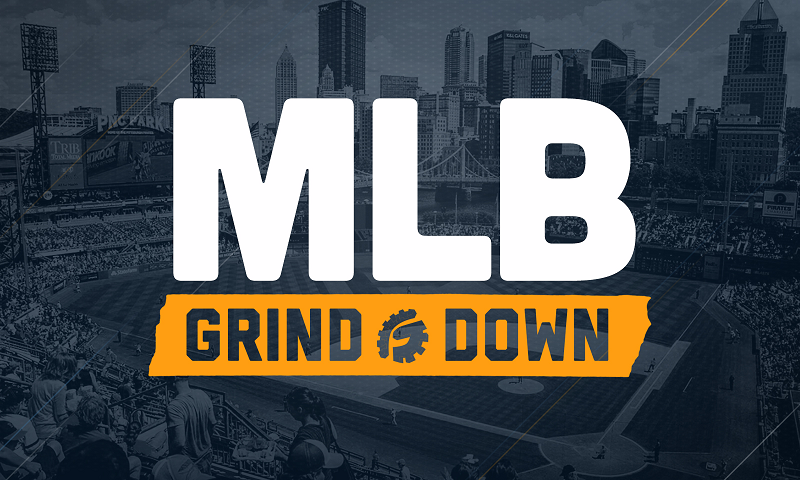 Quick Breakdown: Avoid Santana in all formats. Zimmermann has had a nice season as a whole, posting a 3.94 SIERA with a strikeout rate of 23%. Unfortunately, his last few starts have looked a lot more like the 2017 version than the 2018 version. 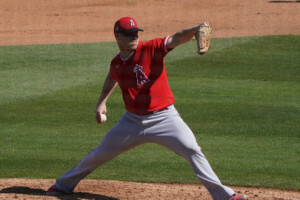 He’s a fly-ball pitcher that gives up a lot of hard contact, so he needs that high k-rate and good control to succeed. When those tail off, he tends to struggle. The Twins aren’t thought of as a potent offense, but their projected lineup for tonight’s game has a .337 xwOBA with a 38% hard contact rate against right-handed pitching. 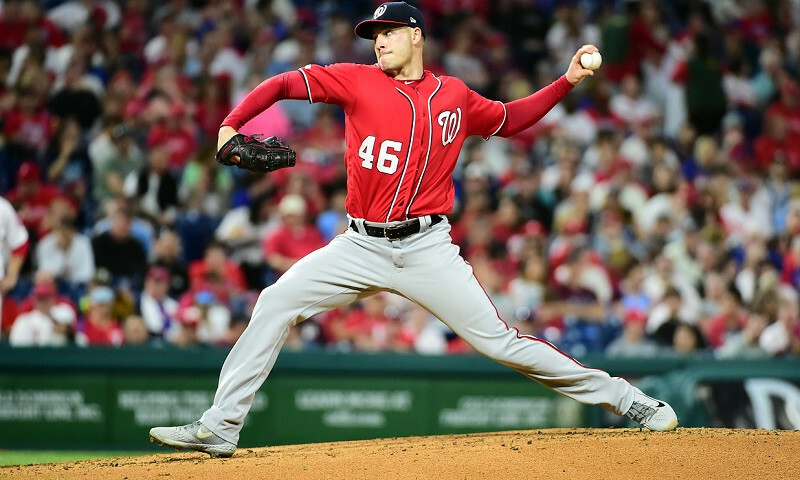 Quick Breakdown: Avoid Zimmermann in all formats. The Twins draw a favorable matchup against Jordan Zimmermann and should fly under the radar tonight. While Zimmermann has managed to hold both left and right-handed hitters under a .325 xwOBA, his recent form brings a number of Twins’ hitters into play. Logan Morrison and Joe Mauer are dirt cheap across the industry and they both own an xwOBA of at least .370 against right-handed pitching. Mauer is the better cash game target, while Morrison brings more home run upside to the table for tournaments. Eddie Rosario, Jorge Polanco, and Max Kepler are also viable depending on where they bat in the order. 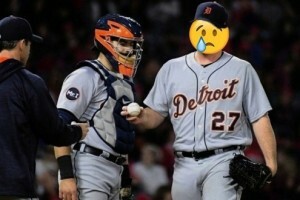 The Tigers offer some nice salary cap relief tonight. While they may not have the upside needed to win someone a tournament (as a full stack), their lineup is loaded with nice value plays. 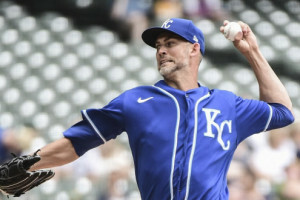 They are playing at home and draw an exploitable matchup against Ervin Santana, who has allowed a .455 xwOBA to lefties and a .387 xwOBA to righties this season. 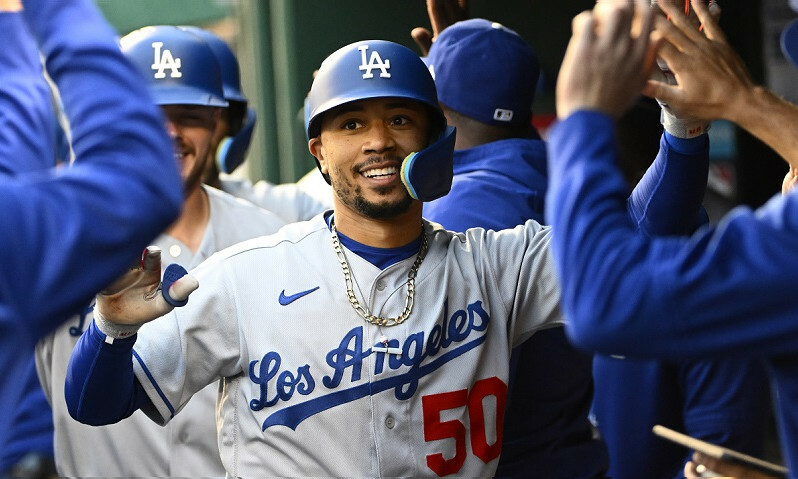 Mike Gerber is the min-price on FanDuel ($2,000), while Nick Castellanos, Jeimer Candelario, and Niko Goodrum all boast a .180+ ISO against right-handed pitching this season. Note: Unless noted, all statistics in the Grind Down are from the 2018 season.